It may seem odd that Nintendo’s first two high-profile offerings for the 3DS have been remakes of Nintendo 64 games, but at least we can be happy about the selections they landed on. Super Mario 64 already saw its revival alongside the launch of the original DS, and Ocarina of Time and Star Fox 64 are among the remaining elite first-party games for the console. 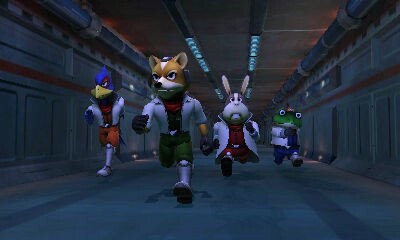 Considering Star Fox is a much more straight-forward and specific affair than the sprawling, epic Ocarina of Time, can Fox and the gang’s 3DS debut match Link’s? 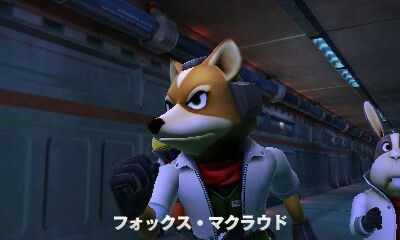 Visually, Star Fox 64 has certainly received the more noticeable upgrade of the two. From the asteroid clusters in Meteo to the chaos of the assault on Venom, the environments look significantly better than they ever did on the Nintendo 64. No matter if the stage is linear or open world, these areas and their varied activity are conducive to the 3D effect. I found myself playing with 3D turned up more often than not, as the effect afforded incoming lasers and obstacles an additional layer of depth. 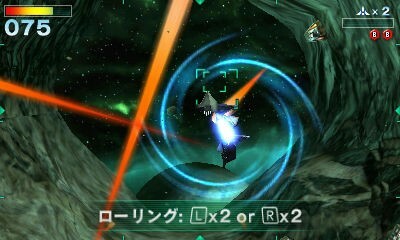 Bringing the combat into the third dimension isn’t the only new option the 3DS hardware allows for. You can steer your Arwing using the gyroscope controls, but I don’t think I’ve ever turned a control option off quicker. Using the circle pad is infinitely more precise and enjoyable than the awkward motion controls. As expected, the 3D effect is almost required to be off if you go with the gyro control option, as the screen becomes a blurry mess if you’re twisting the system every time you’re trying to dodge an obstacle. Other changes are minor, such as the ability to tap the bottom screen to accept incoming messages and item drops. 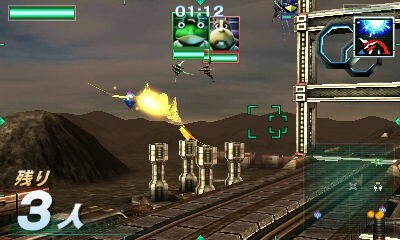 You can also play in modes tailored for 3DS/gyro controls or the classic Nintendo 64 method. Despite the option making it sound like it could be a different experience, your choice between 3DS and N64 mode comes down to little more than control preference. 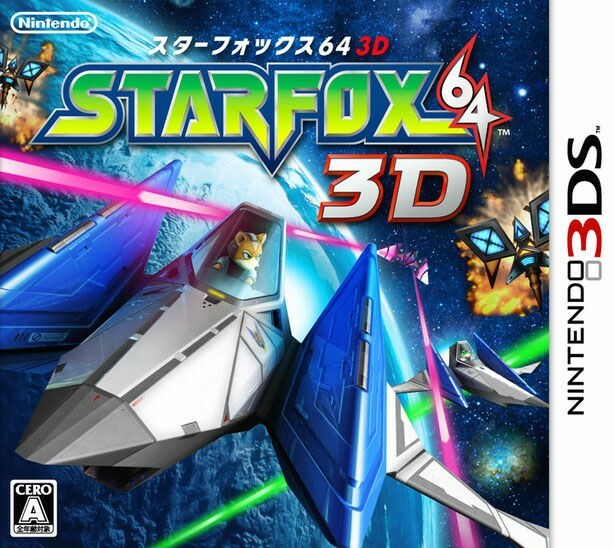 Once you’re situated with the new control options and 3D effect, you’re left with one of the best space shooters of all time, and easily the best game in the Star Fox series. Time has been kind to the gameplay, and gunning for high kill counts and medals on each planet is still a fantastic experience. 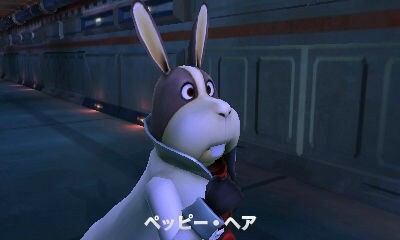 Unlocking the alternate routes to Andross’s base can still be challenging, and it’s likely that you’ll have forgotten some of them in the 14 years since the game originally released. 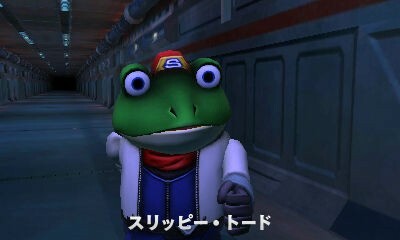 Despite the numerous alternate paths through the game, it’s still a very short experience. Buying this game at full-price in 1997 didn’t feel like an unwise purchase, seeing as it featured cutting-edge graphics for its time and it included the Rumble Pak. However, it’s more difficult to recommend a full-priced purchase for such a short game in 2011 (especially with virtually the same experience being available on the Virtual Console for ten dollars). Even with alternate paths, the game can easily be beaten in one relatively short sitting. While its length may give gamers pause when it comes time to purchase a new game, it’s also highly conducive to portable play. Most levels can be beaten in 5-10 minutes, which is a perfect amount of time for pick-up-and-play portable gaming. Sure, you can sit down and beat it within a couple hours of opening the shrink wrap if you’d like to. But you can also pick it up for short bursts of one to two levels and stretch the experience out. Multiplayer has seen more of a renovation than the story mode, but (like the original) it’s not fleshed out enough to be a destination mode for gamers. 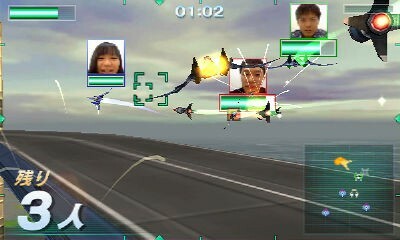 You can see your human opponents via the 3DS camera in local versus play, but it’s not exactly jaw-dropping considering you’re sitting in the same room as your foe to begin with. If I wanted to see my friend react to his death, I’d just look up from a few feet away instead of squinting at a tiny, choppy image on my 3DS screen. With basic dogfighting gameplay and an uninteresting selection of power-ups, multiplayer didn’t feature enough to make me want to come back. 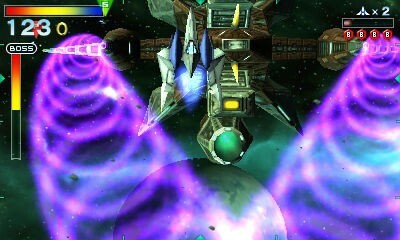 Star Fox 64 is still a great video game, and the 3DS hardware offers improvements and useless additions equally. 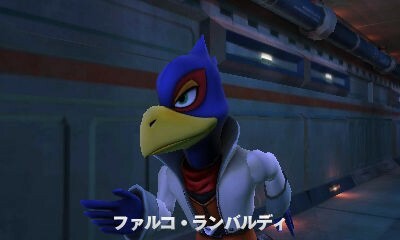 I enjoyed the updated visuals and 3D effects, but I wanted to turn off the gyro controls the second I used them. Once it was off, however, I found myself loving every second of the game like it was 1997 all over again. This remake might not be the AAA first-party killer app the 3DS needs, but it’s a solid piece of nostalgia for longtime fans and an exceptionally strong shooter for newcomers to the series. exceptionally strong shooter for newcomers to the series.